If some of you actually like that color, sorry. It reminds me of being a young father and changing diapers. Sorry, that’s gross — but true. 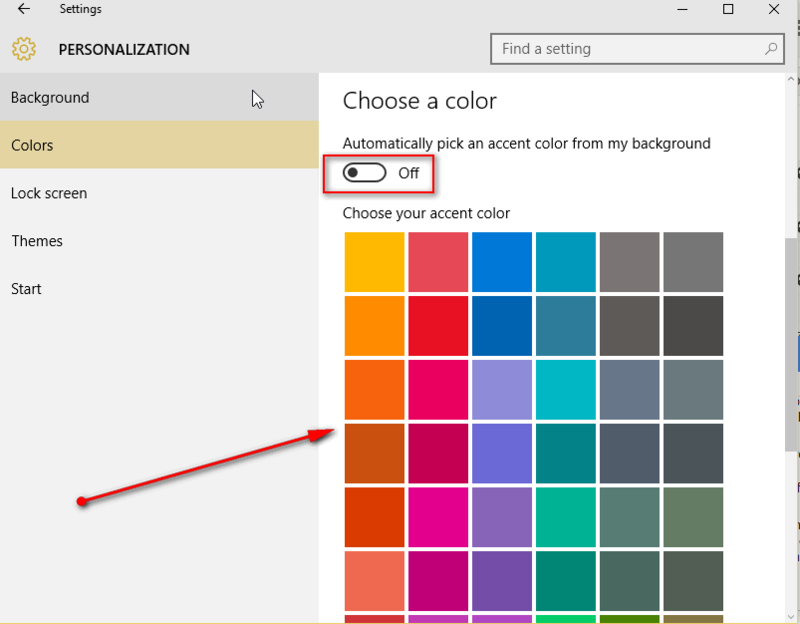 If you don’t like Windows choosing your accent colors for you, take your color palette into your own hands. Turn all 3 switches off. When you turn the first switch off, you’ll see a color palette. 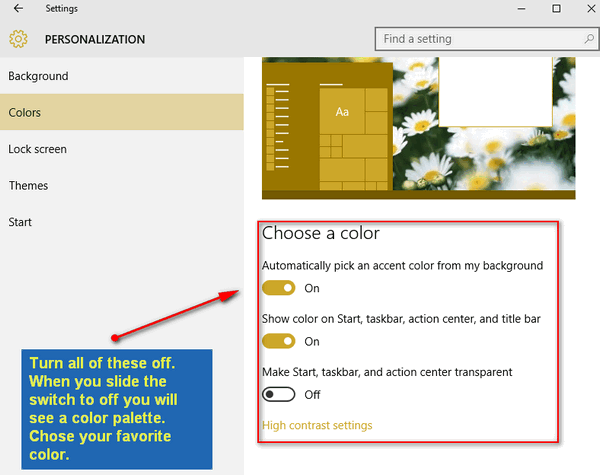 You have solved the mysterious case of Windows 10’s gruesome colors. Boy, that’s the truth! If you’re like me and you like the darker colors for a background, the choices still aren’t great. For example, there’s no deep blue velvet, dark forest green, or tree-trunk brown. 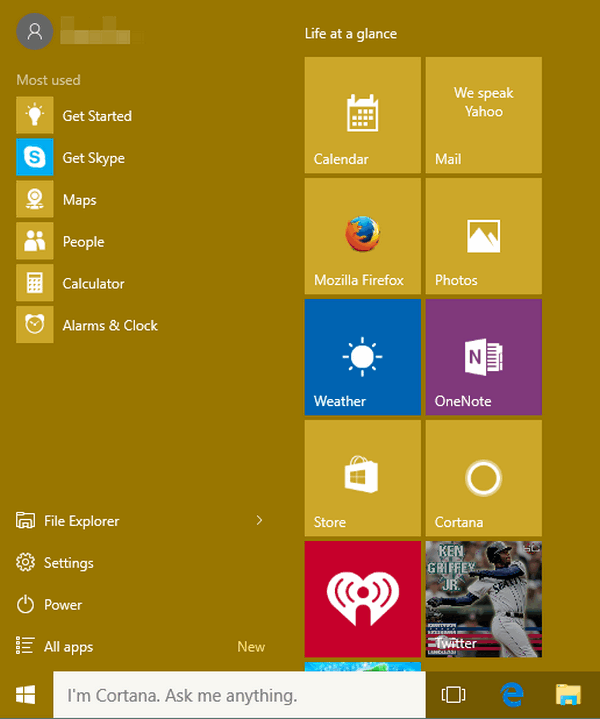 But the choices are still better (in my opinion) than letting W10 pick.